Life Ionizer MXL-15 Expert Review: Is It Better Than Kangen? In today’s article, I review the Life Ionizer MXL-15, the most cutting-edge ionizer currently being sold by Life Ionizers. Life is one of the top dogs in the water ionizer world, alongside Kangen and Tyent. I previously reviewed the Tyent UCE-11 alkaline water machine, and I’ll tell you up front that the MXL-15 2019 model is on the same level. In a later article, I will do a side by side comparison of the MXL-15 and Kangen’s most premium ionizer to help you decide which ionizer is right for you. What is the XL Matrix GRID? Why is the UV Light option important? The MXL-15 comes in both under the counter and countertop models, with the under the counter model coming in with a higher price tag. This unit uses a whopping 15 Titanium-Cored, Platinum-Coated XL Matrix GRID Plates. 15 plates are the most of I’ve seen in any home ionizer. This means your water is coming into contact with a massive surface area during the ionization process. This unit features larger chambers than other ionizers on the market to ensure your water comes into maximum contact with the titanium plates in the least amount of time during the ionization process. 2 internal filters must be replaced annually. Life hires independent lab testing to ensure the quality of their filters. 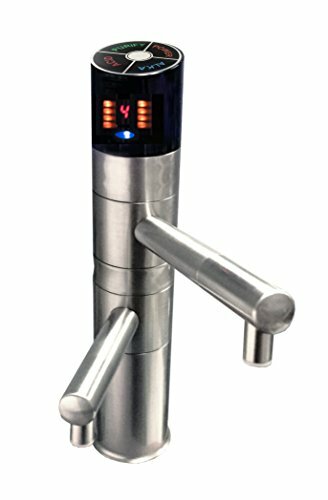 Ultraviolet XL Sterilization System uses light to destroy parasites and harmful organisms in your municipal water supply without the use of harsh chemicals. When water enters your ionizer, its the ionizer’s job to create as much contact with the source water using its plates as possible. Life’s custom-designed plates allow the machine to pump out alkaline ionized water at an incredibly fast rate without sacrificing antioxidant potential in each glass of water you drink. In other words, you’re getting all the health benefits of alkaline water in less time, plus more anti-aging antioxidants and molecular hydrogen in every glass. The XL Matrix GRID design provides more edges on each platinum-coated titanium plate to increase the effective surface area during ionization. Of all the water ionizers I’ve reviewed, the MXL-15 is the most powerful home ionizer I’ve come across. The UV light inside the MXL-15 kills harmful pathogens that have become immune to municipal water treatment. We all know how sneaky bacteria are, and it’s the reason why we have to stay ahead of them with new strains of antibiotics. The UV light featured in the MXL-15 is an important additional layer of protection that ensures you’re drinking the healthiest water possible, free of contaminants. If you’re a handy person, you should have no problem installing the under counter model below the sink. If you aren’t a handy person and have extra counter space, you may want to stick to buying the countertop version. Personally, I choose to hire a plumber to install the under counter version and save myself the valuable counter space. Plus, I love the faucet-mounted controls offered by Life. The faucet comes in three different colors/types: brushed nickel, oil rub bronze, and chrome. When you purchase the under counter model, you’ll receive the necessary parts and the faucet head. The hardest part is cutting a hole to pass the faucet head through if your sink doesn’t already have a hole provided. A lot of sinks provide pre-cut holes to install various under counter water filtration systems. If you don’t feel comfortable cutting the hole yourself, it’s best to hire a plumber. Everything else is as simple as tightening a few nuts and cutting the water lines to the correct length. As mentioned in the video above, you can purchase the countertop version and always choose to convert it to an under counter setup later. The MXL-15 uses two filters. The filter life indicator on the machine tells you when it’s time to replace. If you live in an area with hard water, you may want to check out a simple pre-filter option to extend the life of the Life internal filters and save money in the long run. Note: In order to keep your warranty intact, Life requires you to change the filters annually. Filter #1 contains a thin sediment layer to remove the bulk of the impurities in your water before the water moves on to filter #2 for the fine cleaning process. Filter #2 contains a Vitamin C Ceramic Block® to remove chlorine and chloramines. It also contains a layer of activated carbon to further scrub out any chlorine or harmful bacteria. #2 implements KDF (Kinetic Degradation Fluxion) technology to remove volatile organic chemicals and heavy metals. The MXL-15 uses a self-cleaning mechanism to keep your ionizer running smoothly, however, if you have hard water you may want to purchase a separate citric acid cleaning cartridge to keep your ionizer running at its absolute best. The citric acid cartridge quickly removes any hard water buildup throughout the machine and most importantly on the platinum-coated titanium plates. Kangen also recommends cleaning its machine using the same process. It’s nothing out of the ordinary to require a citric acid cleansing to keep a premium alkaline water machine functioning at its best. Now, let’s go to the exciting part and see what current owners are saying about their Life Ionizers. One woman who’s owned the MXL-15 for over a year lost 15 pounds in just three months after upping her water intake. She also complimented the great customer service. One father called it “the best thing” he has done for his family’s health. He reported that he had sent a sample to the lab to be tested, and the lab called him back wanting to know where he got the Life water. Another person spent 18 months searching for the perfect ionizer and eventually decided on the MXL-15 model. He’s “so glad” he decided to buy this one. One person called it the “best investment” he’s “ever made.” Like me, he suffered from acid reflux and reversed his condition by drinking alkaline ionized water from the MXL-15. Here’s an interesting report: one man called it the “best hangover preventer ever.” He recommended drinking a couple of glasses before bed after a night out. I can actually attest to this because I’ve successfully avoided several hangovers using this same method. Alkaline ionized water is the only water I drink. Another gentleman who’s been a Life Ionizers customer for almost 15 years reported that he’s helped family members get off blood pressure and acid reflux meds with the help of Life’s ionizers. Life also includes testimonials on its website written by satisfied customers, healthcare professionals, actors & musicians, and even professional athletes. Life Ionizers are popular among professional baseball players and professional boxers, including pitchers Barry Zito and Ryan Dempster. I haven’t seen any other ionizer company offer such a wide variety of testimonials. 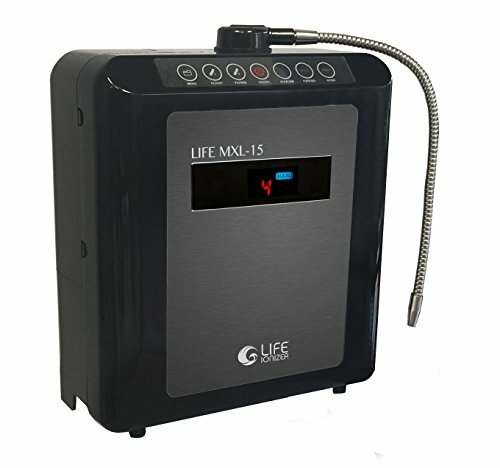 After reviewing the MXL-15 and the Life Ionizers company, I can say without a doubt that they’re a legit outfit offering one of the best water ionizers in the world. The Kangen machine is the most popular at the moment, but I could see the Life MXL series catching up as more people learn about this magnificent machine. When you invest in the MXL-15, you get a lifetime warranty, a 75-day money-back guarantee, and premium customer support. What more can you ask for from a company? You also have the option to start out with the countertop model and upgrade to the under the counter model when you’re ready. Overall, the MXL-15 is a winner, and I will update my list of best water ionizers to include this model in the very near future. Click Here to buy the MXL-15 now at Amazon.